As of July 2016, there are approximately 193,000 federal inmates in the United States. 12% are held in private facilities. All in all, there are around 2.2 million inmates in prisons and jails across the country (it is not known exactly how many of them are locked in private facilities). 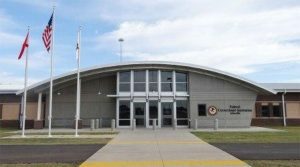 In a memorandum recently issued by the US Federal Bureau of Prisons, it was claimed that private prison facilities have mediocre performances compared to facilities owned by the government. The problem mainly revolves around security. Amnesty International congratulated the US government for its decision regarding private federal prisons and called the states to follow suit (so far a few states, such as Kentucky, have decided to terminate the operation of public facilities). During her election campaign, Hillary Clinton said that the United States must abolish all forms of privately managed prisons. Donald Trump, in contrast, expressed his support for a private correctional system, and no wonder – many of the election campaigns of the Republican Party are funded byPrivate prison companies, such as Corrections Corporation of America. It should be mentioned that around the world, there only 2 countries which use privately operated prisons. These are New Zealand and Costa Rica.